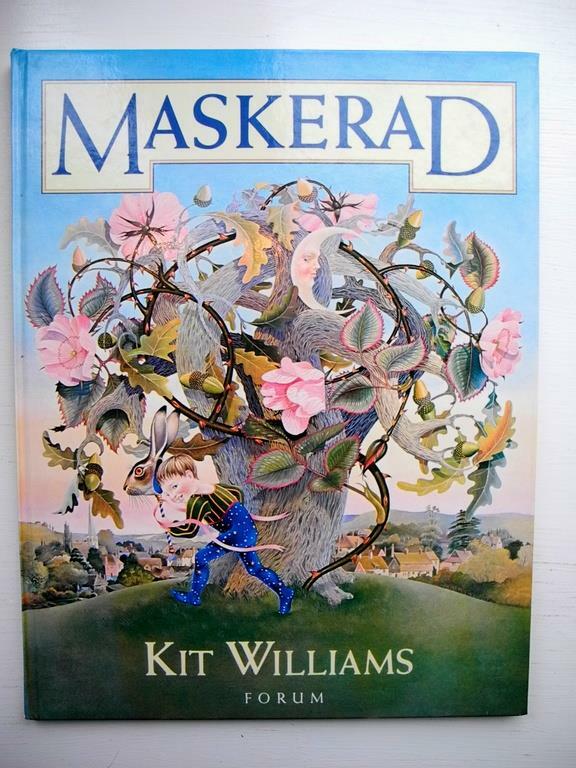 “I still think you could do something that no one has ever done before.” - the story of Kit Williams and Masquerade, a children's book of illustrations that also served as clue to the location of a golden hare, and, despite an ignoble end to the competition, kicked off a crazy off treasure hunting books and videogames in 1980s Britain. Yup. Big old post of their greatest hits here, and I think there's another more Infocom specific one around somewhere. I had Masquerade when I was a kid. Loved it. Never got close to solving it but it made me a fan of the whole idea of hiding things in plain sight. To the extent that nowadays I am still hiding little codes and puzzles in design work. I worked on the BBC radio programme which ultimately led to Williams and his Hare being reunited in 2009. You can read that part of the story in the section starting "The Whistledown team..." here. I probably accounted for an impressive chunk of the circulation stats for my childhood library's copy of Masquerade. I remember poring over the beautiful pages for hours, looking for clues. I never figured out the mystery, but I never got tired of trying, either. a children's book of illustrations that also served as clue to the location of a golden hare, and, despite an ignoble end to the competition, kicked off a crazy off treasure hunting books and videogames in 1980s Britain. I spent hours pooring over Masquerade as a boy. i can still see some of the pages from memory. My father and I were both fascinated with Masquerade in the 80s, in fact it was one of the few things that brought us together in an otherwise turbulent relationship, so Masquerade is an uneasy mix of nostalgia and sadness for me. But at the time, yeah, I was fascinated with it and checked the book out repeatedly from our local library (probably paid a few dollars in late fees too). Along similar lines: Maze by Christopher Manson. Entirely different art style and tone but we were similarly fascinated by it at the time, both the puzzle itself and the promise of a real-world prize to the solver. Oh also -- I very strongly recommend Cliff Johnson's The Fool's Errand to anyone who enjoys these types of puzzles and who might have a little patience to get an old Mac game running under emulation. The third link above describes it as "a magnificent legacy for the golden hare all by itself" and I agree, it's possibly the best pure puzzle game ever made. I remember getting a copy of Masquerade in college (so...1986?) and being told that the hare was never found. I guess word hadn't gotten to the University of Massachusetts or to the used book stores surrounding it by then. I am an absolute crap puzzle solver, so I'd never have any possibility of winning the prize anyway, but the pictures were lovely. I remember reading a review of this book in the very first issue of Dragon magazine I ever owned (#63, IIRC) and being completely fascinated by both the artwork and the premise.
. . . And I just ordered a copy of the book of eBay. That book was something more than the rest of the books I idolized as a child. It had an impressiveness to it, some weight of importance that raised it above the other books that I read and reread obsessively as a kid. That's probably why it's one of the few books that have made the move across the ocean with me. Some things are worth the suitcase space. Man, I love that book. The last line, THE SUN SET AND THE DAY WAS OVER. has always carried so much more meaning than the simple set of words it contains. There's a profound and glorious weight to it, as if something has ended, and never will come again. It means something, and I've always felt that the true meaning has always been just outside my grasp. I'm pretty much babbling now, but that's how much I love this book. This is lovely. My parents still have the copy of Masquerade that I spent hours and hours staring at as a child. I wasn't particularly interested in the puzzle and didn't have the first idea how to solve it, but the pictures were so wonderful. I had no idea of the rest of the story, and the Digital Antiquarian does a wonderful job of telling it. I'm a child of the 90s, but one day my dad brought home this book. He must've gotten it for a song by then. I recall not being particularly into the theme but the hyperrealism of the art certainly made an impression on me. Having been burned out by Graeme Base books, I ignored the puzzle aspect, especially when it became apparent that the treasure was in the UK. Jimmy Maher is a treasure. I probably accounted for an impressive chunk of the circulation stats for my childhood library's copy of Masquerade. This was one of those books that I checked out over and over as a kid, yet totally forgot about until now. What an interesting story! Meanwhile, in Vancouver, a "Maltese" Eagle that was once part of a Masquerade-type contest (that flopped, as did all the Masquerade knock-offs) has been stolen. Supposedly, it is worth $5.5 million.